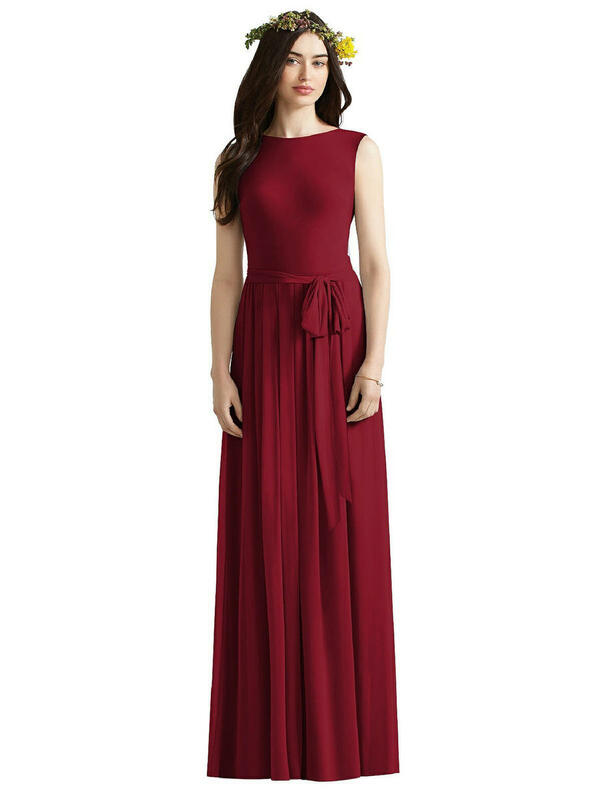 Full length sleeveless bridesmaid dress. 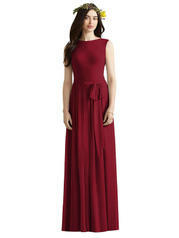 Maracaine jersey bodice has bateau neckline and V-back. Matching lux chiffon sash at natural waist. Shirred skirt.